The caffeine free version of TenRen's Ginger Tea consists of a blend of ginger roots and chicory roots. 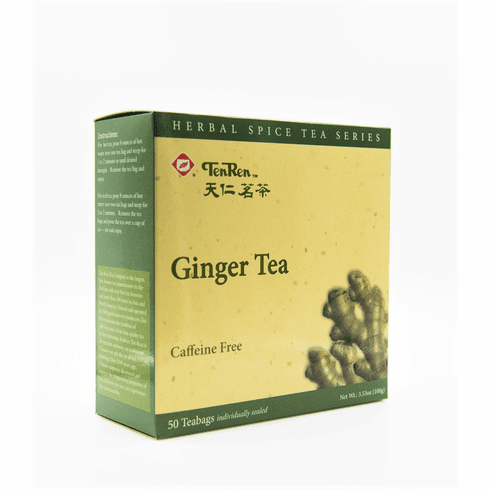 Ginger lovers will love this tea as the aroma and taste of ginger is prominent. Ginger tea has a brown hue, the aroma of ginger, and a spicy yet sweet ginger taste and aftertaste. Many individuals enjoy a cup of ginger tea when they are feeling under the weather. Available in boxes of 50 bags. Dimensional shipping weight is 0.89 lb.